Welcoming The New Vape from Arizer Tech: The Solo II | OhGizmo! By David Ponce on 06/15/17 • Leave a comment! The following article is sponsored. – Ed. 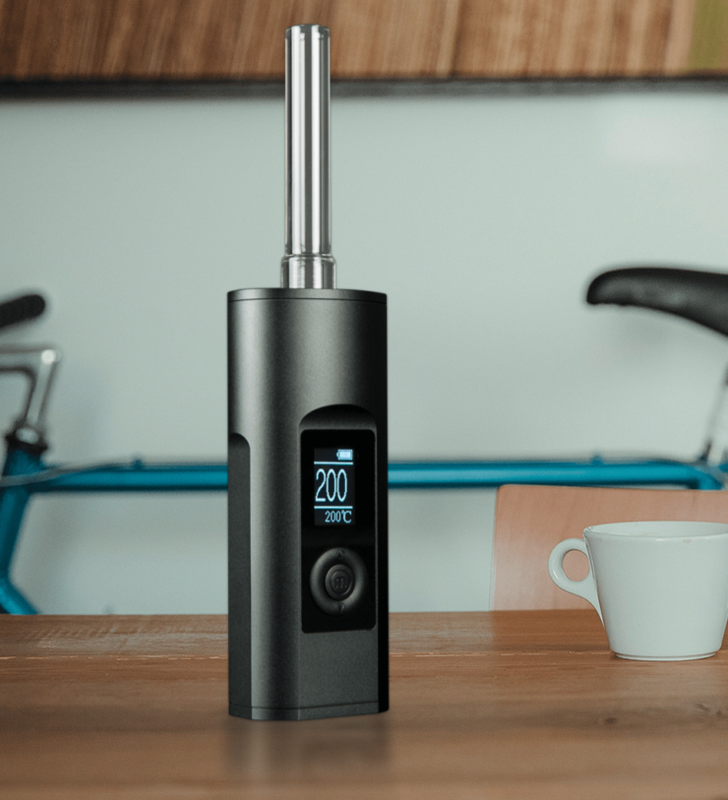 Arizer launched its original Solo in May 2011 which has managed to not only stay but do well in the market for all these years and it is only in 2017 that the company has decided to launch a new and upgraded version of the Solo, the Solo II. This proves the efficiency and merit of the original product which is justified by the fact that it took 3 long years to plan and design the device. Hence, one can imagine the expectation that people would have from the newest addition to the line with which the Solo platform is up for a complete upgrade. From what it seems from the look of it, you may be thinking that the newer version from the Canadian manufacturer, Arizer, has not much to offer which would seem to be an update to the features of the original Solo. But this is exactly where you are wrong as apart from deriving its design and look from the original Solo, the new Solo 2 has sent everything integral to the device starting from its UI to battery to overall experience up for a major makeover and a complete upgrade. Wait till you hear it all. If you are here for the highlights and need some fast facts to list the additions and differences that the Solo 2 will bring into your life, then here’s a quick look into what all is going to change. The battery life has been upgraded to give double of that provided by the original Solo and 4 times of that provided by Arizer Air and the Solo 2 offers about 3 hours of continuous vaping experience. The maximum temperature that you got with both Air and original Solo being 210 degrees Celsius is something that will seem like a good change with the Solo 2 as it provides 10 degrees extra. The maximum temperature of 220°C can be reached in less than 30 seconds and that is a big improvement when it comes to the heat up time, compared to the couple of minutes taken by the original Solo. Another big enhancement that is a welcoming change is the bright LED display replacing the seven lights denoting temperature. This provides the much needed relaxation to the mind as the struggle to remember lighting combos for different temperatures really got in the way of a smooth session. The precise temperature control that allows you to set the exact temperature you want between 50 to 220 degrees Celsius adds on to your overall experience as you can choose among a range of temperatures depending on the quality and flavor of vapor you get out of it. The quality of the device when it comes to manufacturing and vapor has not been compromised but enhanced with a more free flowing airflow. You can buy Arizer Solo 2 in Canada from one currently emerging Smoke and Vape shop in Canada; Haze Smoke Shop.